RON97 ain’t any premium ler. 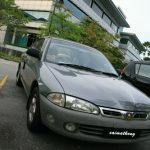 The problem is can my old car support this RON95 without damaging the engine? The RON95 – to be sold at RM1.75 – would be available to consumers in stages effective Wednesday and all petrol stations nationwide would sell the product by Sept 1, said Domestic Trade and Consumer Affairs Minister Datuk Seri Ismail Sabri Yaakob. Ismail Sabri said the government, through his ministry has implemented various programmes to help the rakyat cushion the effect of an inrease in cost of living, including allocating RM812 million to kick off projects such as distribution of essential goods such as rice, cooking oil, sugar, flour and liquified petroleum gas (LPG). PUTRAJAYA: The RON97 petrol will be sold at RM2 per litre effective Sept 1, which is 20 sen more than its current selling price once the RON95 version is available nationwide. Domestic Trade and Consumer Affairs Minister Datuk Seri Ismail Sabri Yaakob said that RON95, to be sold at RM1.75, would be available to consumers in stages effective today and all petrol stations nationwide would sell the product by Sept 1. “By Sept 1, RON97 will be the alternative petrol and a premium product. Instead, the RON95 petrol will be the choice petrol for consumers and rest assured, the product is of high quality and is good enough to be filled in even luxury and high-powered cars,” he told reporters after the soft launch of RON95 here yesterday. Ismail Sabri said the decision to phase out RON92 would not affect consumers as statistics show that only 5% to 10% of vehicle owners use the petrol, adding that by paying only five sen more for a litre, consumers would get to enjoy better quality petrol. He said that at RM1.75 per litre, the Government has to fork out three sen in subsidy for RON95 while a subsidy of six sen is paid for every litre of RON97, adding that it could not be determined yet if there would be revenue for the Government when RON97 is sold at RM2 as it depended on the global petrol price. He said the Government, through his ministry, has implemented various programmes to help the public cushion the effect of an increase in the cost of living, including allocating RM812mil for projects such as distribution of essential goods including rice, cooking oil, sugar, flour and liquified petroleum gas. PUTRAJAYA: RON95 petrol will be priced at RM1.75 per litre, five sen cheaper than the RON97 available now. 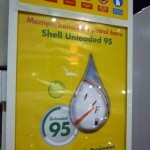 When the RON95 petrol is introduced from Sept 1, RON97 petrol will cost RM2 per litre. Domestic Trade and Consumer Affairs Minister Datuk Seri Ismail Sabri Yaakob said the fact that RON97 will be at a higher price has raised concern among the public but what most did not understand was that RON95 would become the grade of petrol that everyone would use. “For many, even luxury and high-powered cars, RON95 is good enough. 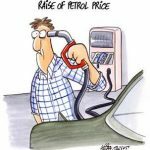 Malaysian consumers are currently using petrol which is of higher quality that what consumers get in other countries,” he said. 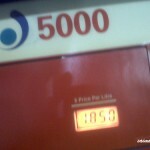 “And the best thing is, RON95 petrol, which is almost similar in quality to RON97, is cheaper. Meaning, consumers will be paying less for good quality fuel compared to now. “The public should not be worried about the higher price of RON97 because it will become an alternative product,” Ismail Sabri said after chairing his ministry’s post-Cabinet meeting yesterday. Ismail Sabri said the RON97 petrol would join the league of other premium petrol products available in the market. On another matter, the minister said that a committee to look into the price of chicken would be set up next week, which would comprise members representing breeders, wholesalers, retailers and consumers. “The committee will determine whether there is justification to increase the price of chicken and the quantum of the increase,” he said.